UPDATED: April 17, 2018 – Home security camera systems are growing in capability and lowering in price as technology continues to improve. This is great news for everyone, as neighborhoods where families once left their doors unlocked are now becoming seemingly more unsafe, with more violence and more home break-ins being reported on the media. 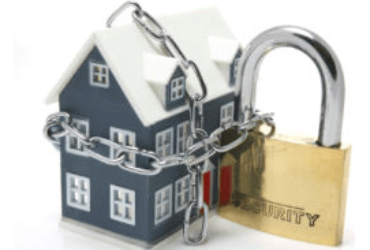 Home protection is becoming more important than ever. 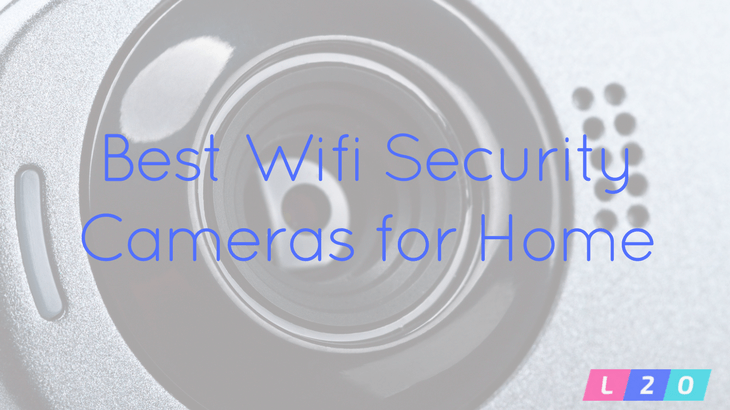 If you don’t want to deal with one of the bigger home security companies but still want to have the protection of an alarm and security camera, take a look at some of the best wireless systems you can buy today. With this guide of home security camera systems, you can have the peace of mind that comes with feeling protected by the knowledge that you, your family and all of your possessions are safe, without being attached to contracts, companies or bulky equipment. 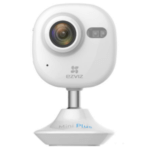 Starting off with the least expensive, but by no means the least capable: the Ezviz Mini HD Wi-Fi Camera is appropriately tiny to match its price! 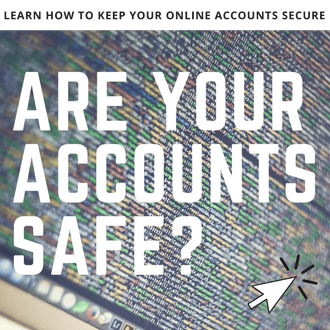 Like many home security cameras these days, it’s simple for the average consumer to install. It records sharp HD 720p footage, detects motion, allows you to opt for push alerts, and stores its footage in a variety of different manners – your choice between cloud and local. Pros: Ezviz makes viewing live or recorded simple and convenient with the app for Android or iOS. Cons: It is lacking two-way audio, does not have a way to turn motion detection OFF or an ability to interact with other connected “smart home” security devices. For something only slightly more expensive, the OCO Wifi Cloud Camera has some pretty cool features. Like the Ezviz, this camera is also available for iOS and Android, which allows users to view live footage that the camera captures from their cellular device. 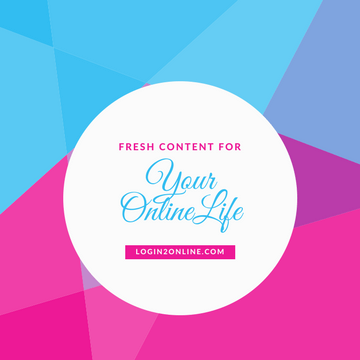 With its use of cloud storage, it’s very easy to go back and look through security footage. It detects both motion in full HD color and noises. 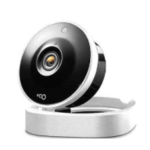 Pros: The OCO Wifi Cloud Camera is even easier to install than the Ezviz mini – it takes minutes. Cons: Unfortunately, you can only store footage with a cloud subscription, because it doesn’t have local storage. It also has been noted by consumers that it sometimes switches to Night Vision Mode before it’s dark. The multi-functional FLIR FX is more than just a camera: monitor your home’s humidity and temperature levels from afar, with free cloud storage for footage. Pros: Its video quality is an impressive 1080px. The FLIR FX can also run on battery power for a full four hours and has some local storage capability with its microSD card. Cons: Some consumers have complained that this camera has false motion alerts, a cloud subscription is required for footage storage that exceeds 2 days, and it won’t work with third-party devices – a drawback that many other devices have covered. Want a super sneaky camera that no would-be thief will ever guess is there? 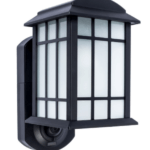 Set up your own sting operation with Kuna, a porch light lookalike that is your wifi security camera. 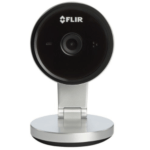 Pros: Its motion sensor accurately captures anything moving within range and comes equipped with a 2-way microphone and speaker to let you hear and talk back to (expected or unwanted) visitors. Cons: Cloud subscriptions must be purchased for footage longer than two hours, and consumers say that sometimes Kuna can have a faulty network connection. In the same price range as Kuna is the Withings Home. This multi-sensor equipped cylindrical setup is aesthetically pleasing, with a patterned-wood cover. It can alert you when any sounds or motions are detected, and it stores footage in the cloud for you to review. Pros: It also monitors air quality and alerts you if pollutant levels are present. 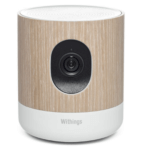 Cons: The Withings Home security camera works only with iOS, it doesn’t yet give you the option to download footage elsewhere and store its and its HD quality isn’t quite up to par, especially compared to some of the less expensive cameras on this list. Didn’t find what you’re looking for? Check out this list for the top rated home security systems!